Last week I was excited to learn that I have been nominated for the Liebster Award.... Twice by two different bloggers! 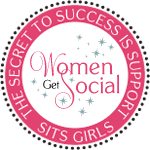 In the blogging world it is an award for new bloggers who are just starting out. This award gets passed around by other bloggers who were nominated and they nominate other new bloggers. This helps getting the new blogs noticed. Pretty cool, huh? Basically, the purpose of the Liebster Award is to get blogs with less than 200 followers noticed. 1. Thank your Liebster Award presenter on your blog and link back to their blog. 2. Answer the 11 questions from the nominator, list 11 random facts about yourself and create 11 questions for your nominees. 3. Present the Liebster Blog Award to 11 blogs of 200 followers or less whom you feel deserve to be noticed and leave a comment on their blog to let them know they have been chosen. 4. Copy and paste the blog award on to your blog. It is an award so show it off...Wink-Wink. Because I had two people who nominated me for this award, I will answer their questions separately. The first one will be Meredith from Unoriginal Mom. Instead of doing the 11, she chose to do only 4 questions, 4 random facts and 4 nominees. She was nominated by three separate blogs and thought it would be best to shorten it up a bit. 1. Who, in your life, has influenced or inspired you the most? I would have to say my friends and family. I really don’t have just one person that has influenced me. Everyone in my life has influenced and inspired me in a positive way. 2. What is your favorite go to recipe? I do not like cooking especially when I have an outdated small kitchen. So my favorite go to recipe is slow cooker recipe. I like throwing all of the ingredients in the slow cooker and then forget about. 3. If you could live anywhere in the world, where would you want to live? Some place warm and sunny. Close to a lake or ocean. 4. If you could meet any celebrity, who would you want to meet? Sandra Bullock. She is simple. And now the questions from Alice from For The Love of Alice's Family. She did 11 questions, 11 random facts, and 11 nominees. 1. What is your favorite cartoon or comic? 2. If you could be an animal, what would you be? A bird so that I could fly high in the sky when ever I felt like it. 3. What is your favorite subject in school? 4. If you could live anywhere in the world, where would you want to live? 5. If you had the time, would you write a book? No. I think that it would be too formal for me…lol! 6. What is your favorite song? 7. What is your favorite game? 8. If you won a million dollars, what is the first thing you would buy? Have a house built with all of the customs that would fit our needs as a family. I just started in January of 2013. 10. Do you use a bookmark or do you fold the page? 11. If you won a vacation, and the hotel was located deep in the ocean, where you had to stay a week would you go? And why? I would. Because it would be a different and unique experience. 1. I am a mother to a beautiful 6-year girl. She will be turning 7 this summer. It is hard to believe how fast they grow up. 2. I am married and will be celebrating 13 years in June. 3. I have a disabled husband since his accident in 2008. 4. I am a full time Graphic Design online student at Full Sail University. I will receive my bachelors of science in spring of 2014. 5. I am also a photographer and have been doing it since I was 14. 6. Constantly have to be doing something creative. 7. Get bored easily – If it is not interesting, you lost me. 9. 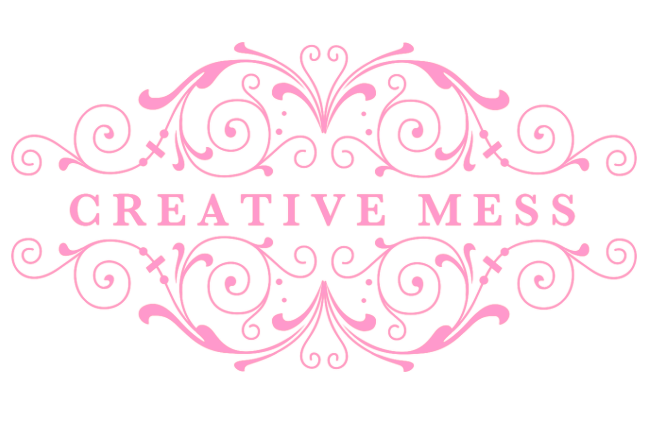 I do different hobbies – Paper Crafts, Beading, Sewing, Crochet, DIY, and much more! It is not common to find me having more than one project going at the same time. 10. I struggle with depression, especially in the winter. 11. Love books and magazines, especially the creative stuff. Love to read paranormal books. Yes, I read the Twilight Series. 12. I dislike it when my house is in chaos. It has to be neat, organized, clutter free and cleaned. Otherwise I feel like it has bad energy. Yeah, I am weird like that. 13. I am at my happiest when it is warm and sunny outside. I love being outside. 14. I can spend hours in a place that has books, art, and a cute coffee shop. 15. Dreaming of owning a studio/coffee shop in an art community on a coastline. 1. What is your favorite season and why? 2. Your favorite subject in school? 4. If you could live anywhere in the world, where would you live and why? 6. What is your favorite reading material? 7. Favorite quote and why? 8. What bugs you the most? 9. Why do you blog? 10. Favorite family/kid friendly meal? 11. What is your least favorite thing to do? Because I was nominated by two different bloggers, I went ahead and fulfilled the the 4 from the first and the 11 from the second. This is why there is 15. However, the nominees can do what it is stated in the rules or what ever you like. Whew! This is a long post and I finally got it done. I follow theses blogs and really enjoy each of them. There is a variety of them. Be sure to check them out and show some love. 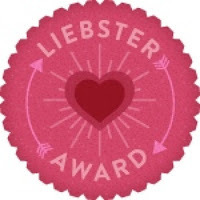 Don't forget to grab your Liebster Award button! Again, big thanks goes out to Meredith at Unoriginal Mom and to Alice at For The Love of Alice's Family. Don't forget to link back to my blog when you accept this award. Can't wait to read what you will put down. Have fun! I love reading these posts. First, congratulations on your award! I am sure it will be one of many you receive. I loved reading your random facts. I found myself nodding in agreement with quite a few of them. Nice to know a little more about you! Will have to check out your nominations! Can't wait! I am also honored that you choose my blog for the award!! Awesome, it's like a the best breakthrough awards of the Grammy. Good luck! Joanne, Thanks for the nomination! It is a great honor. I'll make a post to answer your questions, thank you for choosing my blog! -Paige from "Born To Be A SAHM"
Thank you! Joanne for including me in your list, very sweet indeed of you. Thank you for nominating me, so sweet! I am working on my post now, I hope you have a fabulous weekend!